Christian Radio from the American Christian Network. Providing Christian radio to the Pacific Northwest. 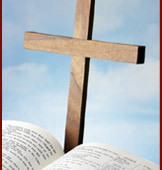 Christian radio featuring Bible teaching and Christian focused news and current events. The American Christian Network Broadcasts the word of God to the Pacific Northwest and beyond via our 6 affiliates. Skip navigation. Christian radio featuring Bible teaching and Christian focused news and current events. The American Christian Network Broadcasts the word of God to the Pacific Northwest and beyond via our 6 affiliates. Christian Radio from the American Christian Network. Providing Christian radio to the Pacific Northwest. Hear It Seems To Me With Spokane Civic Leader, Tom Read, Each Weekend On KSPO. KSPO is the exclusive affiliate of the American Christian Network. KSPO also airs programs from the Liberty Broadcasting System and the Mutual Broadcasting System. Read about Tom Read's involvement with Expo 74. Click below.